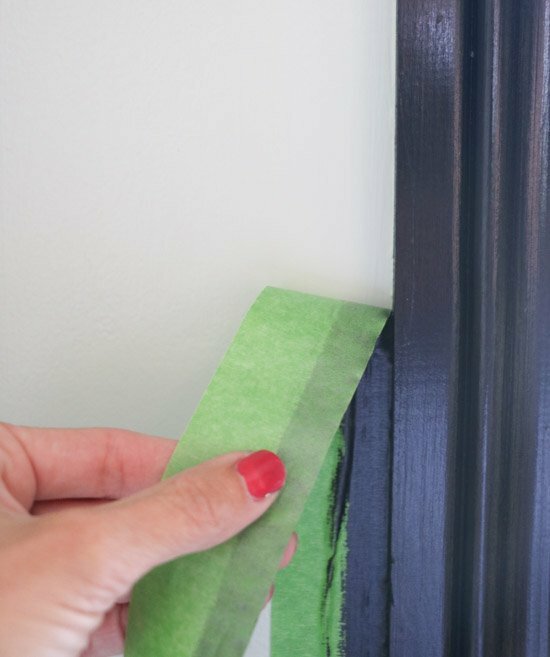 Entry Makeover with Frog Tape - Sincerely, Sara D.
The entry is the first impression guests have of your home. My entry was fine, but I knew it could be better. I have never loved the front door, but I do try to make the best of it. It was a burgundy color when we bought the home, but I painted it gray and more recently the black you see above. It still was not the statement it wanted to be. I love the black trim I am seeing everywhere. 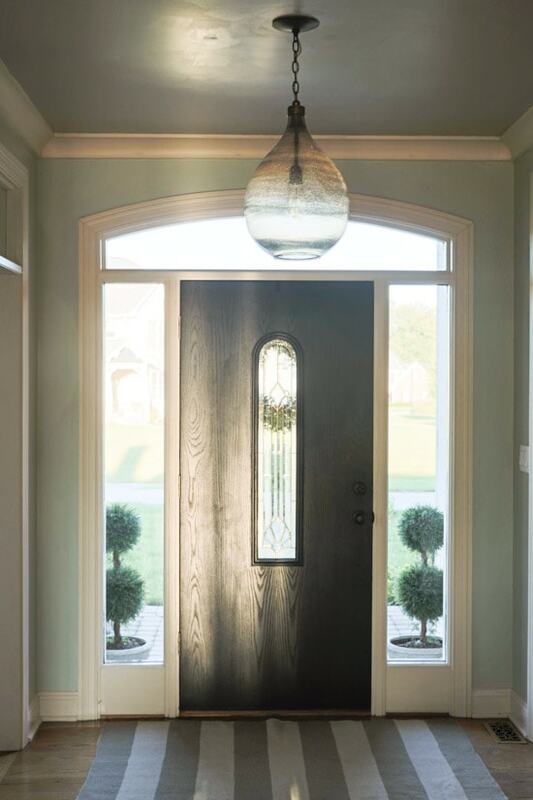 Although most of my home doesn’t lend itself to black trim, I really felt it would work well in our entry. 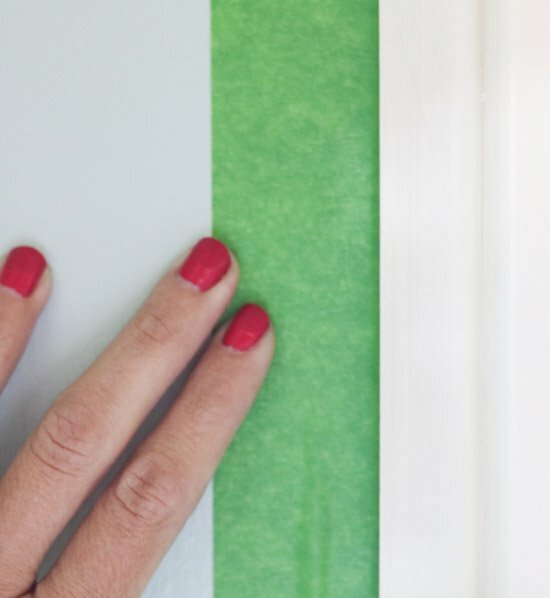 I used the green multi-surface FrogTape® to protect the dry wall next to the trim. 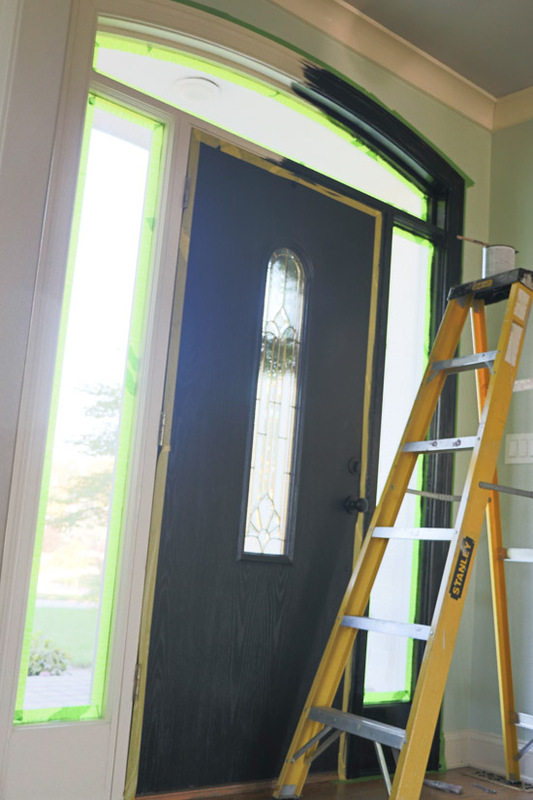 And the yellow delicate surface FrogTape® was used to protect my recently painted front door. 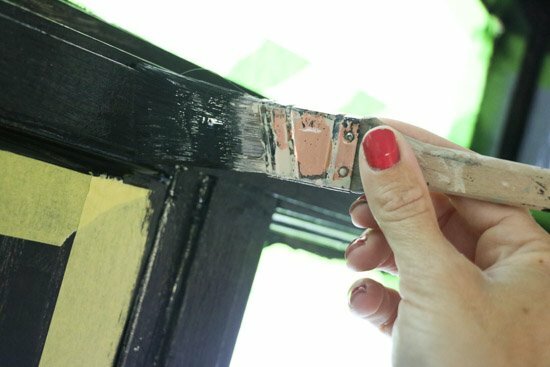 When painting trim, you also want to fix any pieces that may require attention. 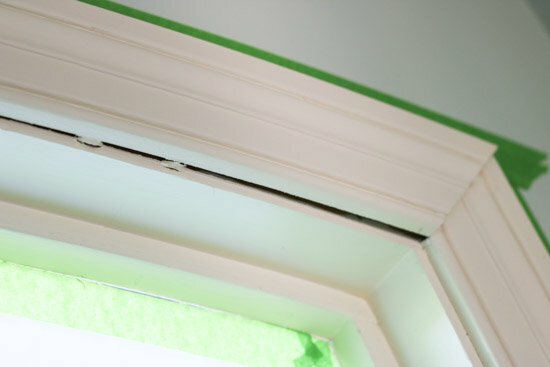 I had a piece of trim above my door that had popped out, so I nailed it back in place. 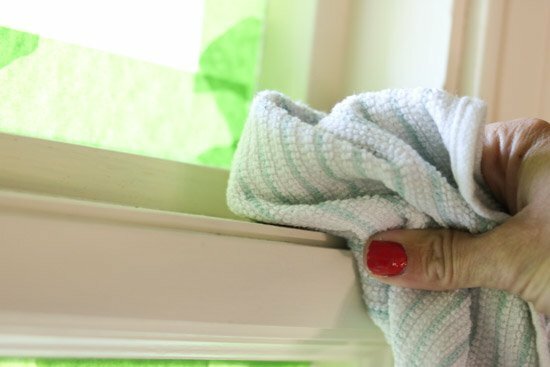 Before painting trim, you also need to wipe down for any dust and grime. 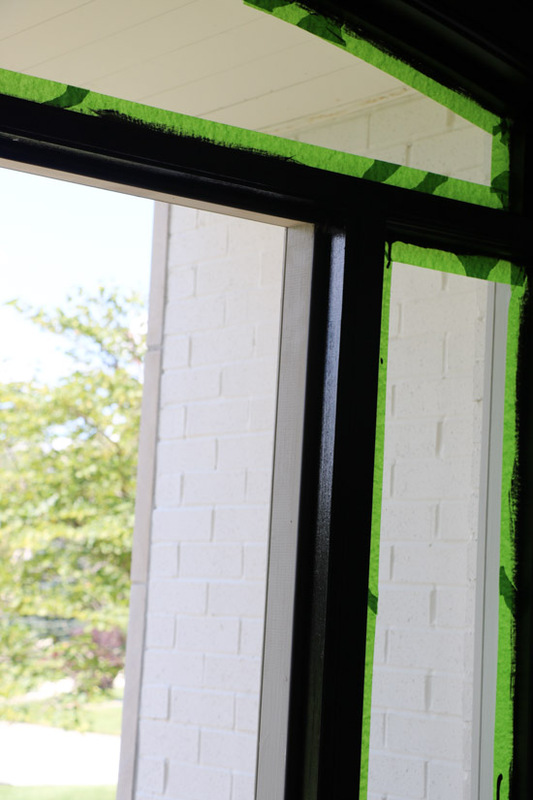 Once the trim is all prepped (taped, repaired and cleaned), you are ready to begin painting. 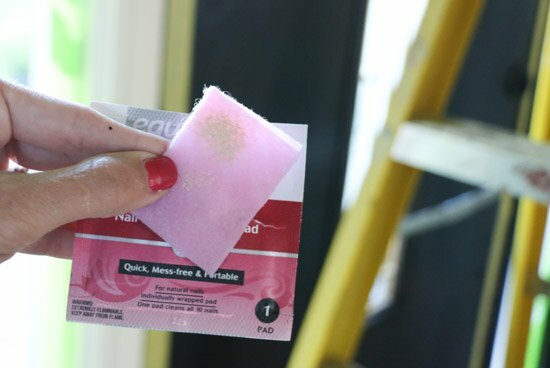 I always like to test previously painted surfaces to see if it has been painted with and oil-based or a latex paint. 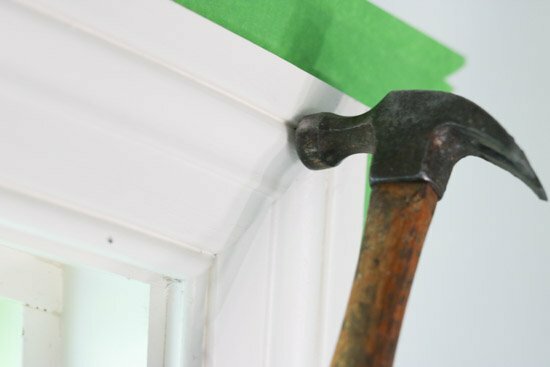 Using nail polish remover, I wiped some of the painted trim, If it comes off, you will know it is a water-based paint. If it is clean, it is oil-based. I had paint on my cloth, so I knew my paint was water-based (latex). 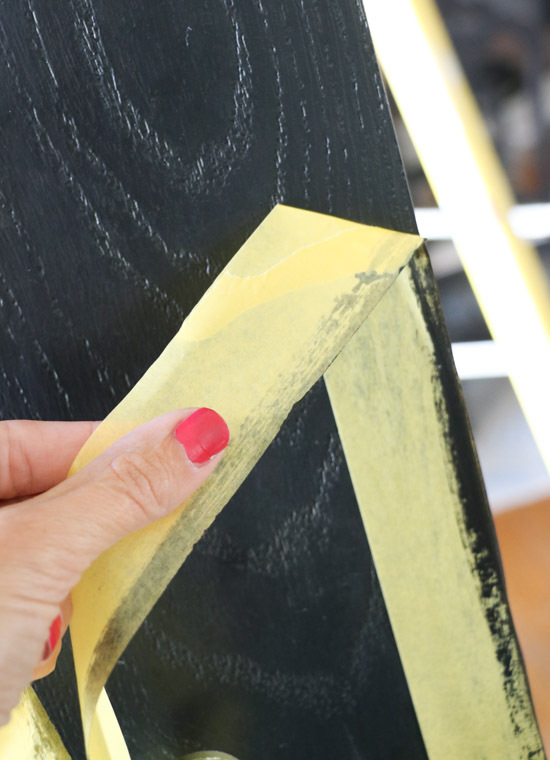 I prefer to use water-based paint whenever possible, and I found this latex in black. Using a small angled brush, I painted all the trim. I started on one side and painted across the doorway. I also painted the inside trim inside the door. I let the first coat dry according to the manufacturer’s instructions and painted a second coat. 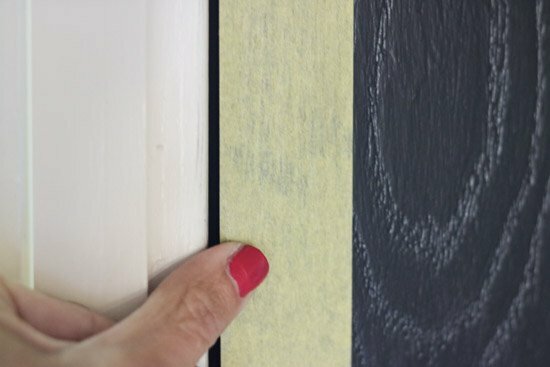 Once the second coat was dry, I began removing the tape. 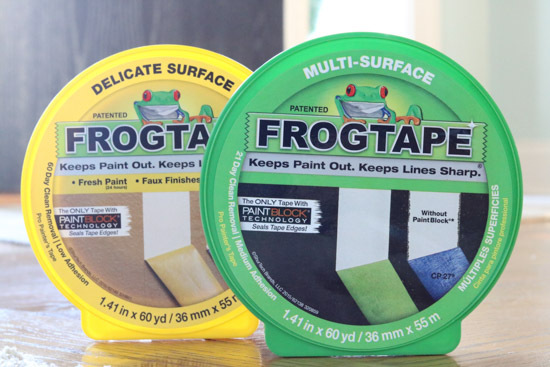 FrogTape® removes easily and quickly. 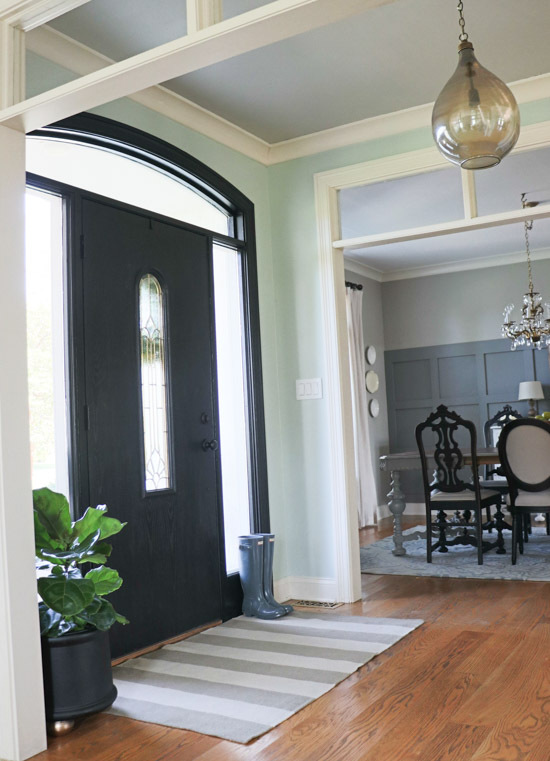 The black trim adds a cohesive (and grand) look to our entry. 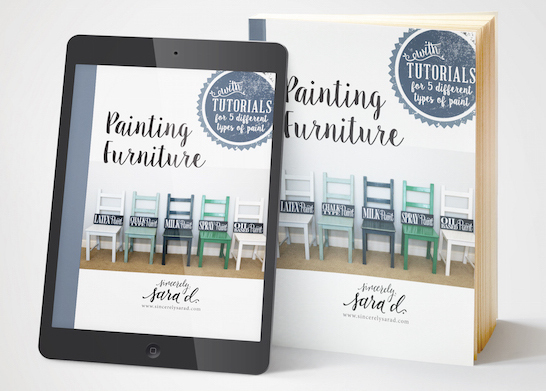 Want to see more painting ideas? Check out FrogTape® painting inspiration! 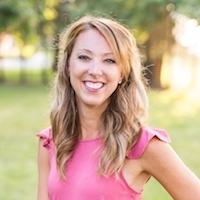 What brand, finish and color black did you use? 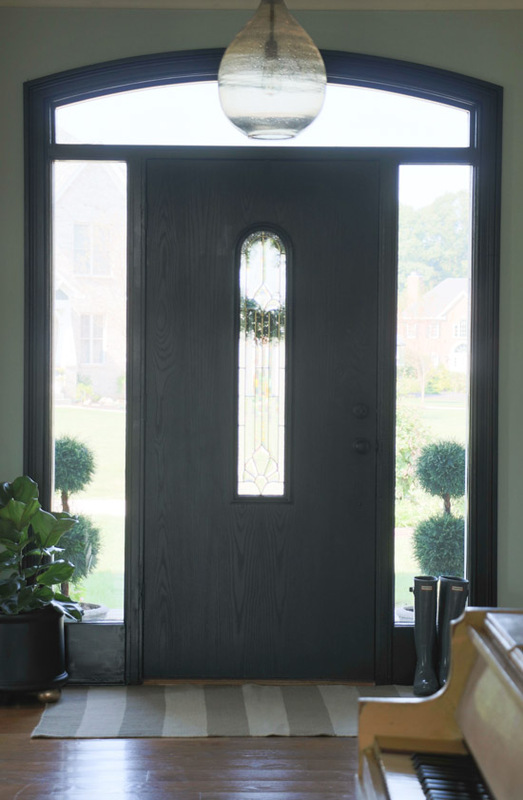 I’m getting g a new front door soon and had planned on painting it black but there are too many to choose from. Valspar (found at Lowes) make a black (water-based) enamel called “project perfect.” I bought the satin sheen. 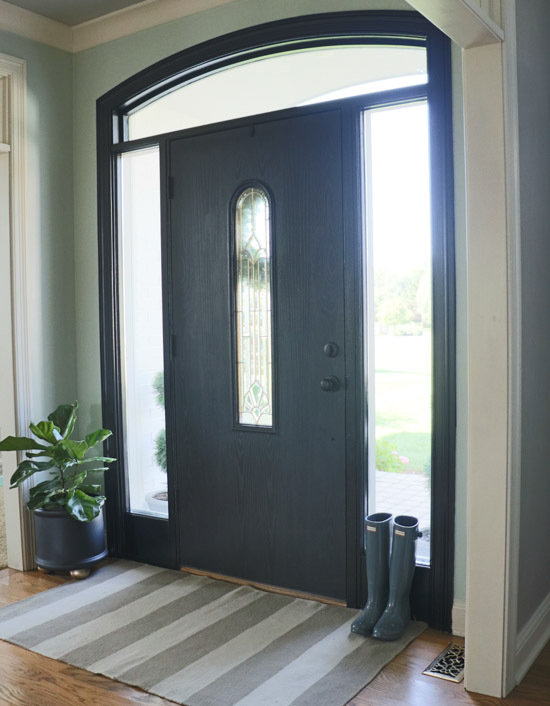 Good luck on your front door project! Love the redo! I am in IN. Where are you?